Wool Rugs - Experience The Exceptional Range At Carpet Court! Carpet Court has a huge variety of rugs to choose from, from traditional to contemporary, in classic neutrals or bold colours. Before deciding which style rug is right for you, there a few lifestyle factors you should consider. Wool rugs are beautiful, resilient and a luxuriously durable solution for bedrooms and living areas. Wool is a traditional carpet fibre that has good natural fire resistance, and is soil and stain resistant, making it an ideal choice if you have kids and pets. What are the benefits of wool fibre rugs? Whether your floors need wall to wall carpet or just a rug, you can’t go past 100% pure sheep’s wool for a host of practical and aesthetic benefits. For the eco-conscious, wool fibres are a renewable resource offering longevity, durability and resilience within the busy family home. Many years of enjoyment can be experienced from a high performing, pure wool rug. Wool fibres are adaptable to a wide range of climates. In cooler climates wool is the best insulator for your floors, and large wool rugs on timber flooring will make a noticeable difference to the warmth in your home. If you live in a humid climate wool fibre rugs can be a healthy choice for your family. The antibacterial and antimicrobial properties found naturally occurring in sheep’s wool will repel moisture and restrict the growth of mildew and mould. The same waxy lanolin coating found in sheep’s wool which repels moisture, mildew and mould is also what gives it a high level of soil and stain resistance, making wool an ideal choice of fibre for active family homes. While all those practical benefits make a wool fibre rug extremely appealing, it is the aesthetic properties which we find hard to ignore. How luxuriously soothing does it feel when you sink your feet into a pure wool rug? How sublimely soft is it for your precious young children to play on? A pure wool rug is more than just a floor covering. It is a heavenly tactile experience. Check out the hand-tufted, pure wool, plush pile Haven rug collection for a luxurious way of bringing sophistication, style and warmth to your room. Or the stunning Assos rug, handmade in exquisite 100% pure New Zealand premium wool. Are wool rugs a natural product? Rugs can be constructed from 100% pure, natural wool but they can also be a blend of wool and other unnatural fibres. 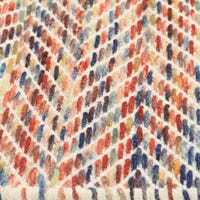 Some wool rugs may be blended with synthetic fibres or even sari silk, but also with natural cotton or jute. 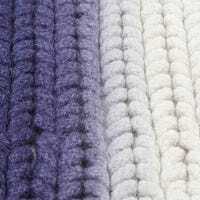 Polyester, nylon and polypropylene rugs are constructed from man-made synthetic fibres which are not natural products. But if you are selecting one of our 100% pure wool rugs then yes, it is a natural product crafted from sheep’s wool. Supremely luxurious, sublimely decadent, seriously soft rugs are made from sheep’s wool. Have you even seen a hard fleece on a sheep? Yes, wool rugs are super soft, beautifully tactile and kind enough to feel soft even to a baby’s sensitive skin. They are a welcome and inviting inclusion to your living space and are equally perfect for your bedrooms. Sinking your bare toes into a lovely wool rug on a cold winter’s morning is the perfect start to your day! If you think about the conditions Australian and New Zealand sheep are exposed to, then you will understand how durable a wool rug really is. Sheep’s wool has natural stain, soil, moisture and crush resistance. It is one of the most durable and resilient natural fibres around. If you want longevity from your rug, a wool fibre rug is the obvious choice. How should you care for wool rugs? You should always refer to the product guide when caring for your wool rug. There will be a natural amount of ‘shedding’ as your wool rug settles in, which is easily vacuumed off. For deep cleaning or spills and stains, it is important not to use commercial cleaning products or methods which are not recommended by the manufacturer. Again, refer to the product guide. With correct care your stunning wool rug will bring many years of comfort, luxury, warmth and style to your home.